ANTI-ROLL BARS : Bear's Performance Parts, Gettin You Hooked Up! Improve your 60 ft. times !!!! Bear's offers a complete line of Anti-Roll Bars for all applications. These bars are designed to eliminate chassis roll on launch. From a weekend bracket racer to Pro-Mod your car will benefit from a Bear's Anti-Roll Bar. 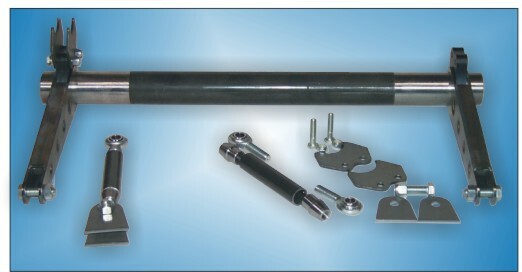 Pro Anti-Roll Bar - 36"
Same kit as S-6675 but for 27"-36" width. Sportsman Anti-Roll Bar - 36"